TAG Global Systems offers a full line of durable, touch-responsive products designed for when performance matters. 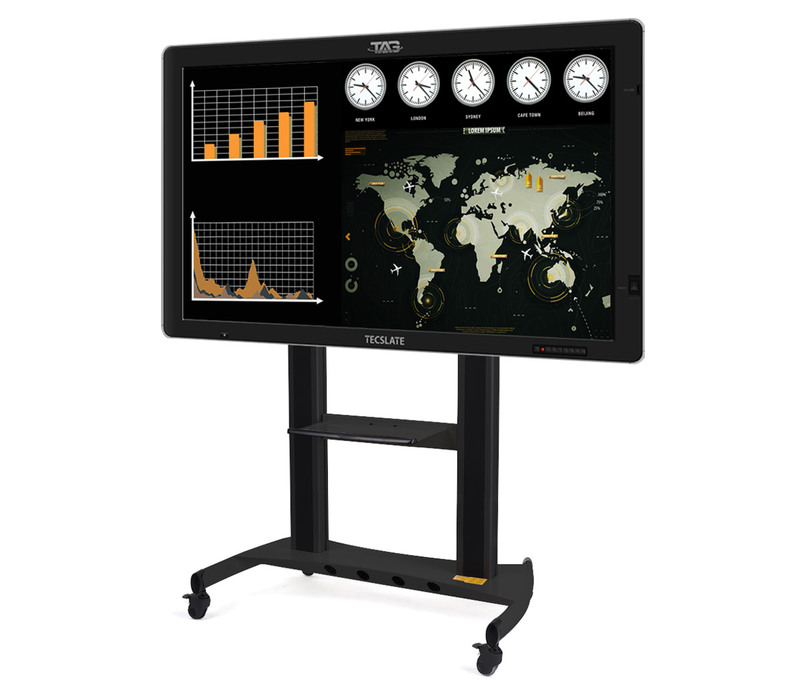 The TAG TECSLATETM is an interactive touchscreen (65” or 84”) flat panel computer with an on-board Wi-Fi enabled Windows™ PC. Touch, Move, Scroll, Play, Highlight, or Draw your way to new experiences. Experiencing the TAG TECSLATETM is the only way to truly appreciate its capabilities. This bleeding edge device is a front line technological must have for any business, luxury, or personal setting. The easiest way to describe it at first glance is a massive tablet, but the TAG TECSLATETM is so much more. 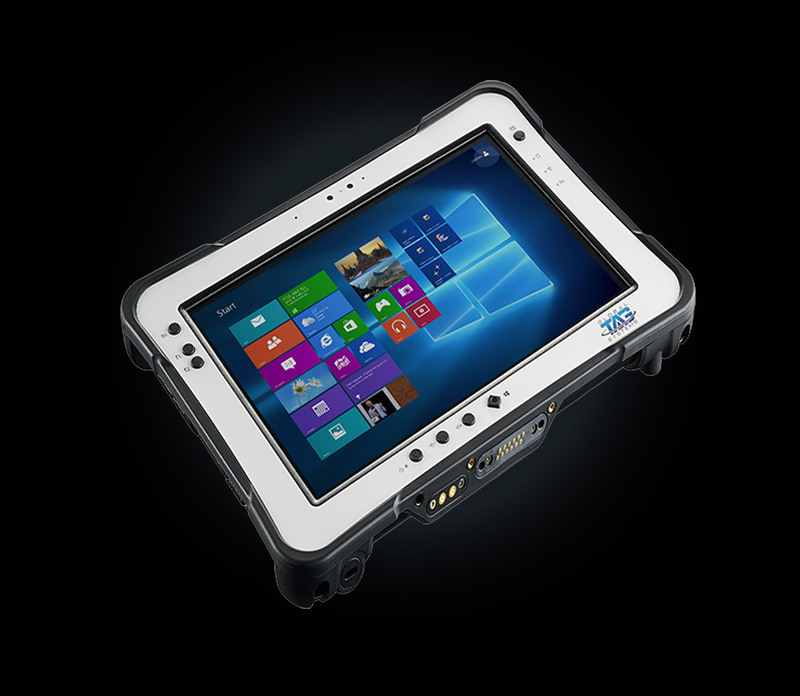 This ruggedized tablet has the latest Microsoft WindowsTM Operating System, RS232, front and rear cameras, 4GB or 8GB memory. It has optional 4G LTE, Smart card reader, bar code reader, NFC, and mag stripe reader. 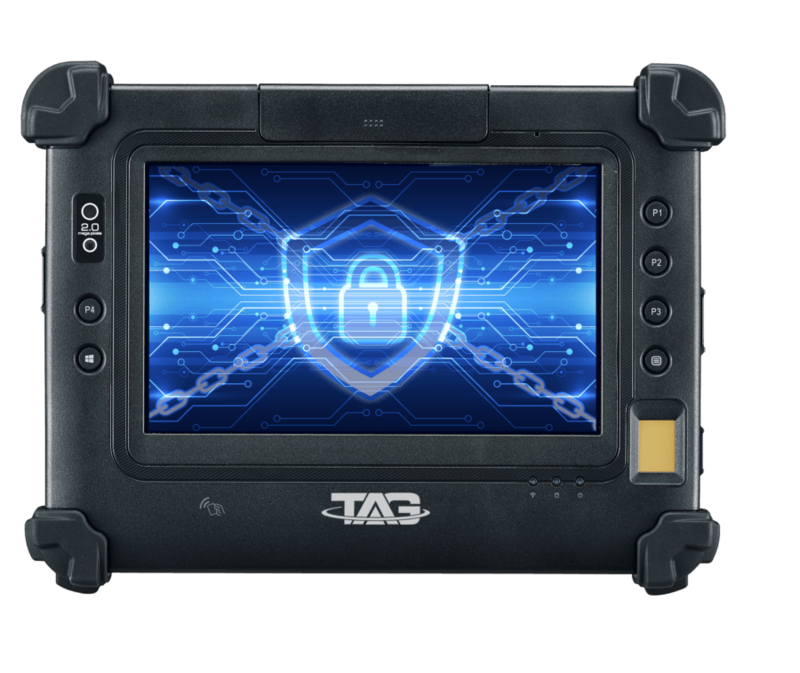 The TAG GD700 rugged tablet – a 7-inch IP65, designed to be ready for always-connected duty. It’s versatile, expandable, and suitable for a wide range of deployments. The tablet has advanced security, and the availability of numerous data collection options, including an MRZ + MSR reader. The device is unique in size for those who need a sturdy tablet that can run the latest Windows™ Software Operating System in a package that’s larger than any handheld, but smaller and handier than a full-size tablet. Everything you need to learn about TAG’s products and the experienced team behind the service. View manuals, specifications and other related documents. View all of the information about each of our products. See the videos and take a tour of our products. View videos about each of our products. Learn about our industry experience and valued relationships. Meet our dedicated TAG team. This bleeding edge device is a front line technological must have for any professional or personal setting.